Last week, I finally got my hands on a copy of the movie The Social Network. I knew the movie had garnered both Golden Globes and Oscars; and in all honesty, I had promised myself that I would get a copy. Except that I never really got around to doing so until last week. For lack of anything to do, I watched the video over the weekend. For those who have not seen the movie, it is supposed to be based on the behind-the-scenes of the birth and subsequent growth of everyone’s favorite pastime, this addictive web site otherwise known as Facebook. I will not be a spoiler and tell you the story of the movie; so go find yourself a copy. Instead, what I will go on about are certain things I began to understand a little better as I watched the movie. 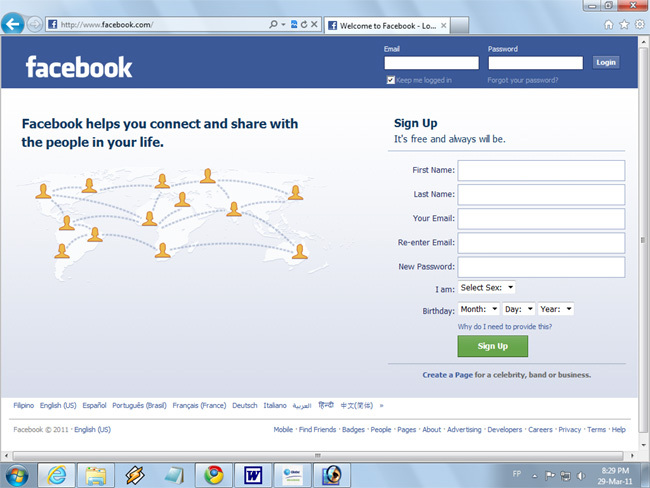 I first joined Facebook either in September or October of 2007. When I did, and after I had added my niece, her first message to me to celebrate my registration at the social network was to remark how odd she thought it was that I was no longer anti-social. That was probably in reference to that by-now fossilized social network called Friendster, which was such a hit in those days but for which I felt neither the need nor the inclination to register. Prior to my registering, there was this news clip on CNN which went on about how some schoolmates in Harvard were involved in a legal battle over intellectual property rights. According to the news report, some Harvard students were claiming that the idea for Facebook was originally theirs; and that Mark Zuckerberg, Facebook’s founder and CEO, had stolen it from them. It was more out of curiosity than anything – and I happened to be online when the CNN news report was being aired – that I checked out Facebook. The rest – to use a really worn-out cliché – is history. To get back to the gist of the matter, that legal wrangle – among others – was what the movie expounded on; and more! I was surprised to discover from the film that Zuckerberg was also involved in another legal battle with somebody who helped him get Facebook started; and that he also took on and eventually got rid of the person responsible for Napster, among the first – if not the first – peer-to-peer system that forced players of the music industry to rethink their sales strategies. I used to wonder what purpose Facebook’s Networks really served. One was asked to choose one upon registration, so I chose the country Network Philippines. There was only a handful of school Networks to choose from. I am pretty certain that there was an Ateneo de Manila Network; but I seem to remember that the DLSU-Manila network had not even been established at the time. 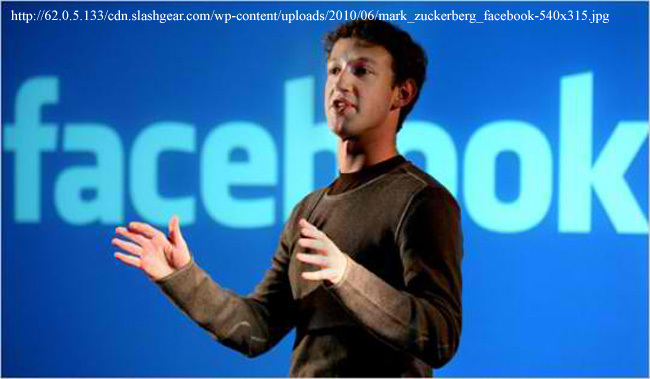 Well, The Social Network more or less explained that Facebook – as a matter of fact – began as a university network. Even as membership started to include other colleges and universities across America, the algorithms the site used for determining which information to show to members revolved around the concept of the Network. 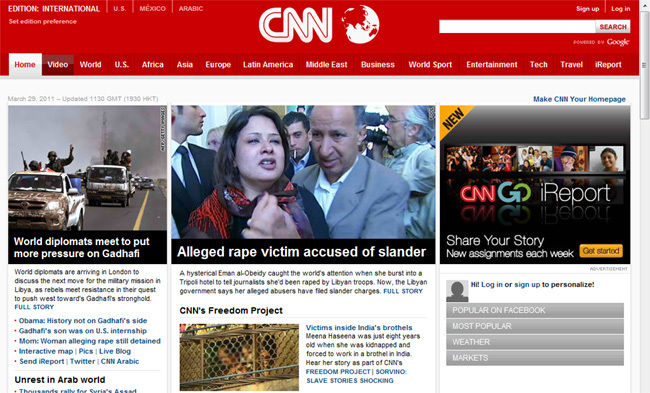 There are those among you who will remember that there used to be a Network page. Facebook subsequently did away with this since the site really started to attain critical mass and its popularity started to transcend national borders. The movie also depicted the initial strategies for the site to attain this critical mass. By the way, it is a little known fact that the De La Salle Lipa Network was something I asked for. Of course, in the old days, there were about 200,000 Filipinos at the site – or, if memory serves me right – and its global popularity was just starting to skyrocket. What I am trying to say is that in those days, there was actually somebody behind a monitor somewhere who still had time to respond to messages and requests. I sometimes wonder what role I and my players had in convincing the masses here in the country to switch allegiance away from Friendster. When I registered, there was but a handful from De La Salle Lipa who was at the site. Like everyone else, I was quickly captivated by the apps. The one I found handiest, however, was the photo app. 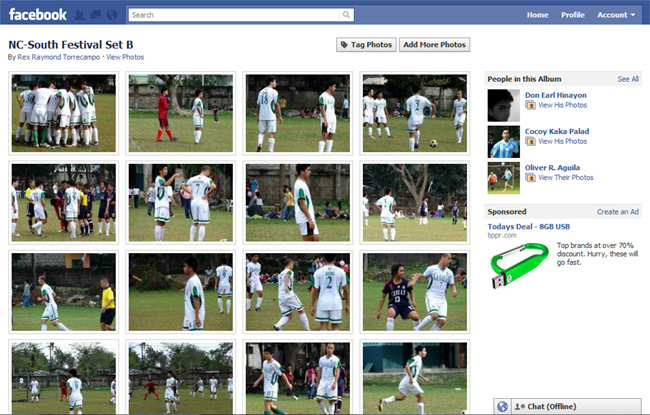 Even in those days, I thought Facebook’s photo galleries were really not only supremely user friendly but also elegant. We were playing in several leagues; I had a new digital camera; and I took hundreds of pictures during matches. There was a catch. I posted these on Facebook. Two years later I was able to make official announcements of the cancellation of classes due to approaching weather disturbances using my Facebook status. In another graphic example of how the use of the site had become so widespread in school in just a couple of years, just ponder this story. One evening, the people at Pangga’s, this fast food joint I sometimes go to before going home, handed me an ID card left behind by one of our students. By 7:30 the next morning – still at home – I placed this status: Does anyone know of Juan de la Cruz (not real name) please tell him he can get his ID from me. I turned off the PC and headed for school. By eight – just thirty minutes later – the student’s mother, an employee as it turned out who worked at the same floor I did, was already asking for the ID card. Facebook and text, that is a lethal combination! Our guess was that somebody must have seen my status; then text-ed my colleague’s son; who, in turn, text-ed his mother so she could get the ID card from me. She was relieved that she did not have to pay for a replacement card. The film The Social Network ended just as Facebook’s popularity was just starting to snowball; and indeed there were hints that the original concept of the site was aimed at the party animals in Harvard. I do not believe Zuckerberg ever imagined the many sorts of ways people would eventually put the site to use for. Such as announcing impending typhoons and finding owners of lost ID cards in this little corner of the world.